Reggae’s aural landscape has undergone a dramatic transformation since 2005 when cultural themes controlled the dancehall as deejays chanted praises to Jah Rastafari and wrote songs to uplift and inspire listeners. Many artists who attained notoriety espousing these fortifying concepts promptly abandoned them when the prevailing lyrical tide took a sharp detour towards graphic violence, gangster posing and the explicit, x-rated rhymes that now dominate the (dancehall) charts. Despite the disturbing trend evidenced in several current dancehall hits, singjay/songwriter Junior Kelly remains true to making empowering reggae music, a mission he embarked on nearly 25 years ago. Five years after the release of Kelly’s critically acclaimed “Tough Life”, he returns with his much-anticipated fourth album for VP Records (his 8th album overall) “Red Pond”, which will be released on April 6th. The title “Red Pond”, like all of Kelly’s lyrics, was inspired by real life situations, particularly the conditions in his community of Frasers Content, Spanish Town. It was Kelly’s roots reggae single “Love So Nice” that established him as a star throughout Jamaica in 2000. Kelly’s breakthrough song utilized the indelible bassline played by Aston “Familyman” Barrett on the rhythm to Bob Marley’s classic “Stir It Up”, as he pondered a question most people ask at least once: “If love so nice, tell me why it hurt so bad?” Kelly’s commanding juxtaposition of precisely timed, deejayed rhymes and melodic singing, coupled with his vivid story telling abilities, took the song to the top of the Jamaican charts, a position it held for 15 weeks, making it the island’s longest charting number one tune for 2000. Kelly’s stunning introductory album for VP Records “Love So Nice”, released on January 25, 2001 presented a diversity of songs, from the sufferers’ anthem “Hungry Days” to the hymn to herb “Boom Draw” to the melancholy brought about by a lost love on “Sunshine”, in addition to the hit title track, which created a demand for Kelly’s music throughout The Caribbean, North America and Europe. Kelly describes his collaboration with “Red Pond’s” primary producer Melbourne “George Dusty” Miller of the Fire House Crew as “the true essence of the creative process; we took an organic approach to music making, just recording songs without the confines of creating an album.” Created over a four-year period, “Red Pond” boasts an all star cast of Jamaica’s finest musicians whose synergistic efforts fashioned rich, multi textured one-drop rhythms which propel Kelly’s thoughtful lyrics into 15 triumphant selections that stir the soul as readily as they move the feet. “Red Pond” commences with the jubilant “Celebrate Life” which advocates daily appreciation for the blessings that surround us. Love’s many facets are explored, from the enigmatic search for “Real Love” to the love for one’s father on “Papa’s Song” (featuring Ras Shiloh) and the all important love of self on the stirring, semi-acoustic “Believe In Yourself”, which Kelly has been singing in concert for a few years but hadn’t previously recorded. With the assistance of singer Lukie D (of the great Jamaican vocal quartet L.U.S.T.) Kelly switches moods, lamenting the loss of his lady on the R&B flavored “She’s Gone”, while Queen Ifrica, speaking on behalf of neglected women everywhere, breaks down her reasons for ending an unfulfilling relationship as she joins Kelly on the true to life, lilting lovers rock tune “Too Late”. The album concludes with the ultimately optimistic, biblically laced strugglers’ lament “One Bright Day”, which Kelly acknowledges can have various meanings depending on an individual’s hopes and aspirations. 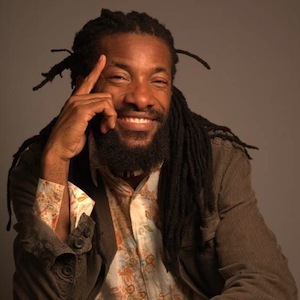 For lovers of sophisticated, passionately crafted roots reggae, a bright day arrives with “Red Pond” as the depth and detail of Junior Kelly’s lyrics, coupled with his heartfelt, nuanced delivery, augurs well for the music’s future while solidifying his prominence among a new generation of Jamaican cultural standard bearers.